Zidisha borrower Anthony Gatembe resides in Maili Kumi, a small town 18 kilometers north of Nakuru. It is at his new home here where he is starting his next business venture. His previous endeavor, a poultry farm ran into a harrowing obstacle when 80% of his chickens contracted Newcastle disease. Fortunately, due to Anthony’s earnings at his second job as a driver between Nairobi and Nakuru in addition to the funds he saved from his Zidisha backed poultry business, Anthony was able to purchase a piece of land in Maili Kumi. He plans to repay his current loan in the following week and refocus his efforts. Anthony has been practicing farming and agriculture since he was a child. 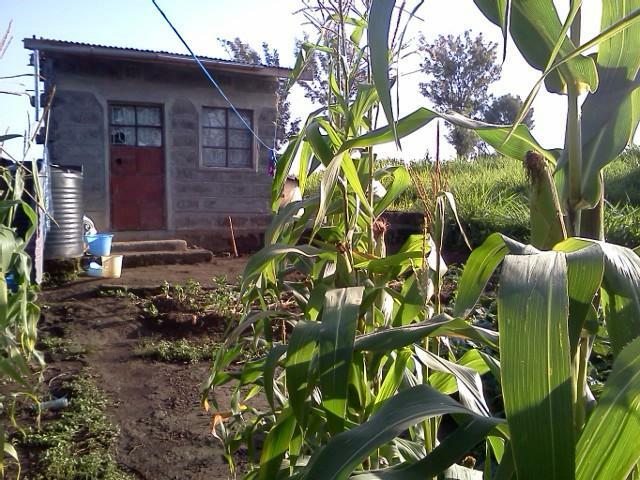 On his new property, he is currently growing maize and other assorted vegetables to be sold to the rapidly expanding customer base in Nakuru. His long term goal is even more ambitious. 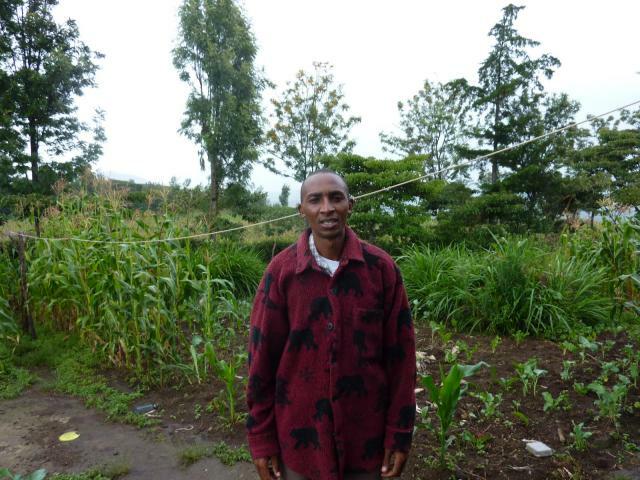 By November, he plans to purchase a cow and begin a dairy farm on his new property. In addition to Anthony’s lifelong knowledge of rearing livestock, he has researched the local market and is well versed on what he can expect to receive in return for his investment. He calculates that a cow could produce 40 liters of milk each day. With the local price hovering between 30-40 Kenyan Schillings per liter, Anthony expects to make between 800-1,000 Kenyan Schillings after production costs. In addition to strictly selling milk, Anthony also plans to take courses to learn how to produce yogurt and cheese from the milk, both of these products would increase his profit margin. Losing 80% of his chickens could have been debilitating financially to Anthony, but because of his ambitious and ingenious use of his Zidisha loan, he is now embarking on a business venture that he believes will be both more safe and profitable. "Zidisha is one of the greatest things…"
Zidisha is one of the greatest things that has happened to me in my entire life. Through Zidisha, I have comfortably bought two cows of my dreams at a total cost of over Ksh 100,000. This has been made possible due to the low interest rates and very flexible repayment periods offered. Zidisha borrower, James, posted this comment to his profile page today. 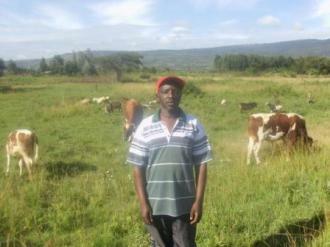 We are elated to hear that James is happy with his loan, and was able to purchase his cows. As always, none of this is possible without our generous lenders!